As you can see any "first" is a good predictor of a team winning. Of course correlation is not causality, it's very possible that they don't make a win, just signal which team is better. But I strongly believe that if correlation is found, we should assume causality until proven otherwise. We shall assume that first X itself advances the team, which makes sense, since all firsts give rewards. There is a first that I can greatly contribute to: as Jungler Warwick, I can solo kill a dragon on lvl 5. Most teams don't even bother to ward that thing. According to the graph, it shall mean a 2/3 winrate and indeed since I started killing dragon on lvl 5, I started to win in streaks. I will try further firsts, like pushing a tower after a gank and even killing the Rift Herald (Baron Junior) who has 72% win correlation with firstkill. 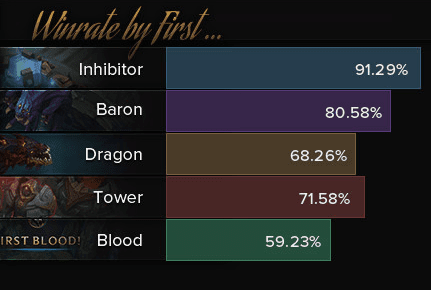 It's very important to note that these objective firsts have better correlation with win than the first PvP kill. Taking down objectives is more important than "pwning" so any player wanting to win must focus on objectives. It should be obvious, but it's usually not for the playerbase for social reasons: defeating another human player in single combat looks more meaningful than beating down a pixel turret. It's not. With which items you can slay dragon at lvl5 Warwick? 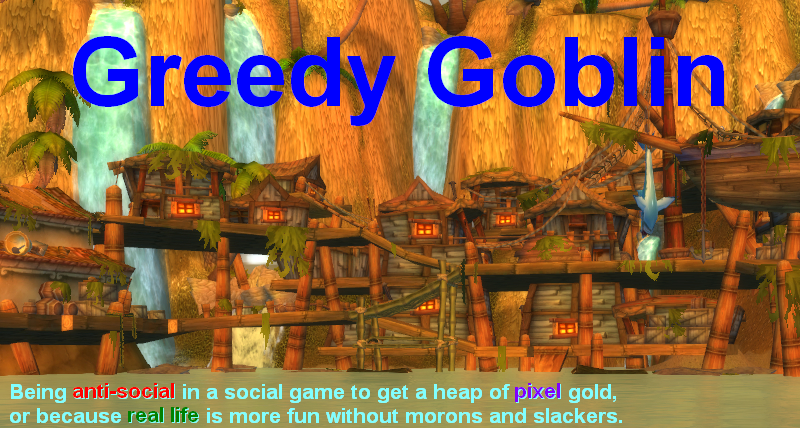 Is it to soon to ask what LoL has done right as a multiplayer game? Not related to today's post but you might like this as more ammo for you hatred of Falcon. CTRL-F for Falcon's username and check his response. Rather than deal with it in a professional way he makes it public. Both first tower (which gives bonus gold) and first dragon are very important, but I suspect rift herald is a fake correlation. In many games, even pro games, rift herald is not taken at all unless one team is far ahead, has already taken everything else, and has nothing better to do. i guess first dragon is so high in statistic because it most of the time means, that botlane of the enemy is dead. then the jungler and your own botlane gets dragon. it is not about the advantage of the dragon buff. it is about the game situation were mostly the first dragon was taken. you take it, if you lead on bot side. this means, your assumption is not tottaly right, if you solo the first dragon, you wont win automatically with higher rate. you can sneaky steal if alone, but your bot is loosing. what do you gain? nothing. first dragon represents the early lead of bot side. and this is winning the game.